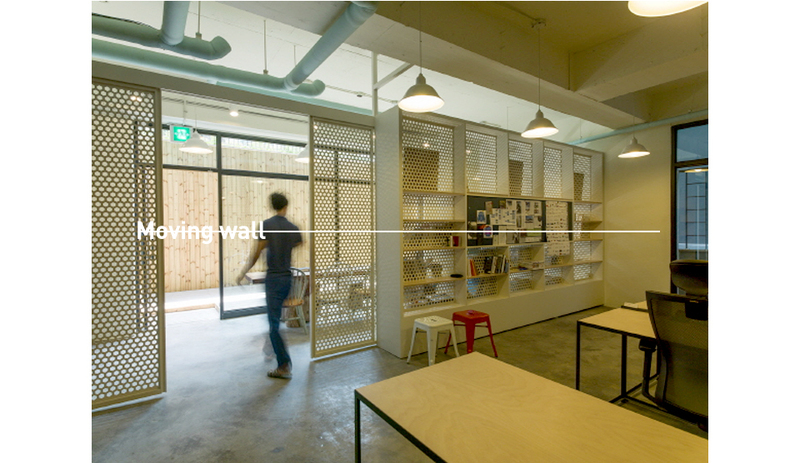 ‘Snow AIDe (Architecture and Interior Design) office is our working studio. Meaning of it is helping to design someone’s now. 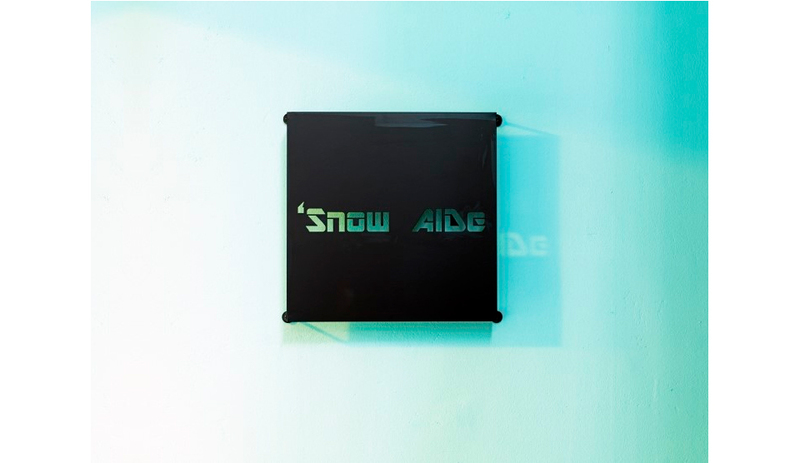 We have been working under the name of “Hohyun Park + Hyunjoo Kim” since 2007 and ‘Snow AIDe is our firm’s new name. 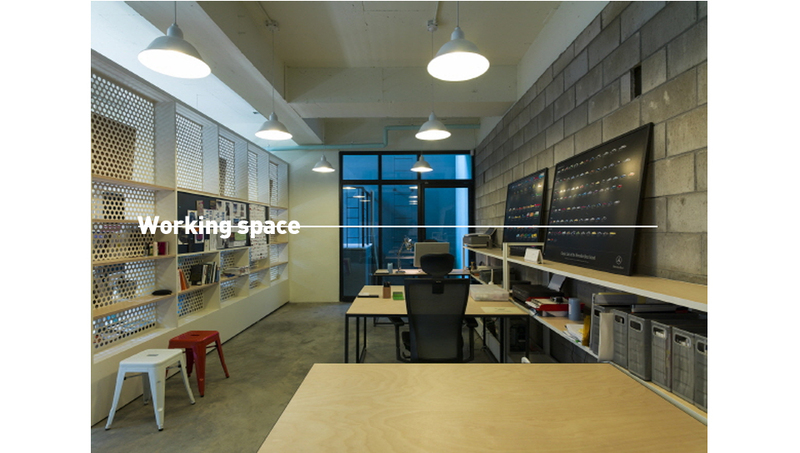 Our new Studio is located at South Pangyo, where is newly developed town near Seoul, Korea. Studio is underground with two sunken spaces, which were finished with red cedar. 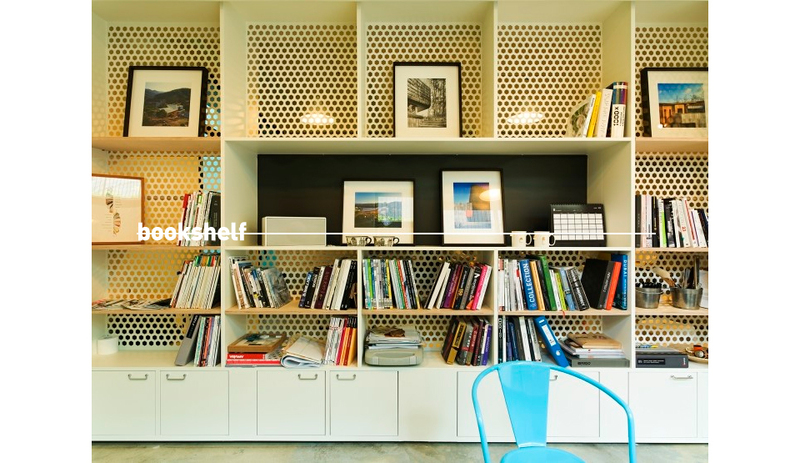 Due to these sunken spaces, space gets enough natural lighting and good ventilation. 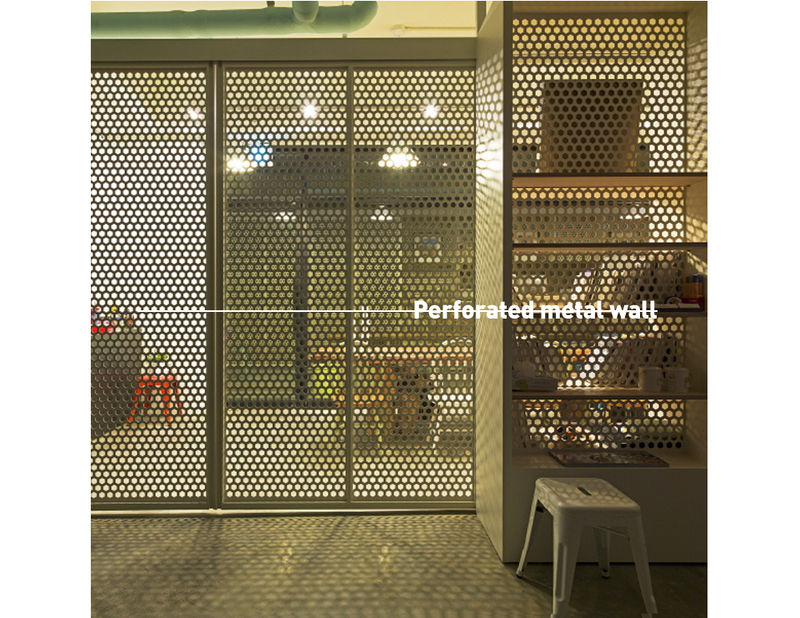 64m² spaces are divided in 2 parts by the book shelf and movable partitions, which are made of perforated metal to let the light penetrate. Through overlapping of hexagonal pattern metal plates, various patterns are projected on epoxy resin coated concrete floor. 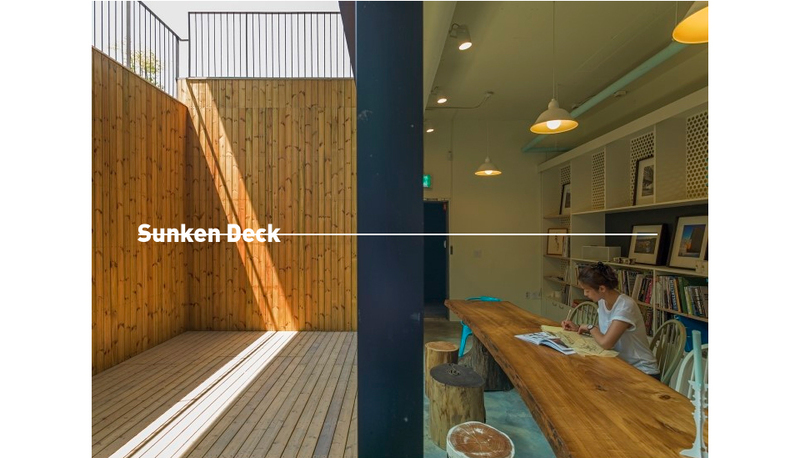 Front space, which is faced a big sunken deck, is designed as meeting area and small kitchen is located at the end of meeting area. The meeting table is made of elm tree trunk, which was broken by typhoon in a few years ago. Legs of this table are butts of trees. Abandoned chairs, which were stacked in warehouse of our client, are reused by cleaning and painting. Wood trunks are also used as chairs on window side. Working area is at rear space, which is faced a small sunken deck, and restrooms are at the end of working area. Existing concrete block wall is preserved and Walls of restrooms are finished with black steel. In front of restrooms, Korean traditional furniture is placed. This one is called ‘Pyongyang Bandodge’, which was used for a cabinet for clothes in the area of Pyongyang in 19th century and opened in half by hinges in the middle. On top of it, picture of ‘Busuksa’ – Korean temple by Jungmin Seok is located.